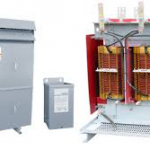 The amorphous transformer is conventional transformer use the core of silicon steel laminations with an almost uniform crystalline structure i.e. CRGO. 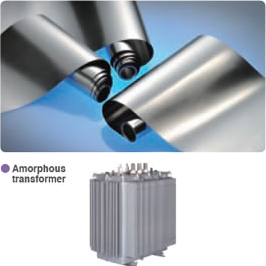 Amorphous transformers employ the core of amorphous steel which has lower hysteresis losses. Metal has the crystalline structure with a neat arrangement of atoms. When a metal in a liquid form at high temperature is rapidly cooled it retains its liquid structure on solidification. It results in a non-crystalline alloy which contains randomly arranged crystals, termed as the amorphous alloy. Amorphous alloys have superior strength and better electrical characteristics but need advanced machining techniques. Quintessentially used the material in met glass. Less affected by external magnetic field or better coactivity. A typical core made up layers of thin ribbons or sheets of amorphous metal. 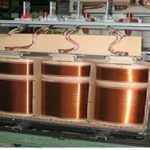 Due to this foiled structure, less induction of eddy currents when exposes to the alternating magnetic field. In the manufacturing itself, amorphous metal gives metal as a very thin ribbon-like continuous strip having the thickness much lesser to that of standard silicon steel sheets. This causes near about 40% less eddy current loss to that caused by silicon steel lamination.